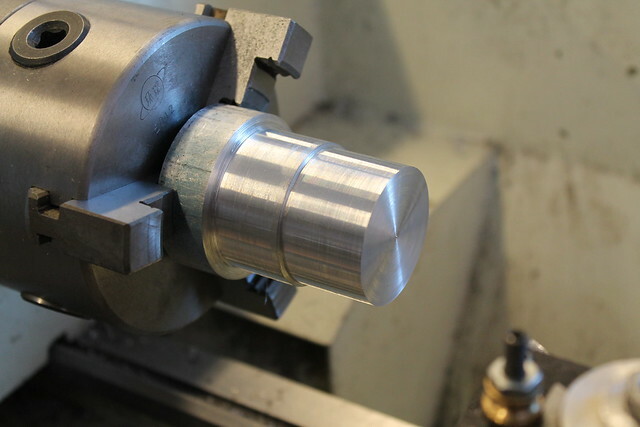 This skill builder will cover the basic operations performed on the metal lathe. 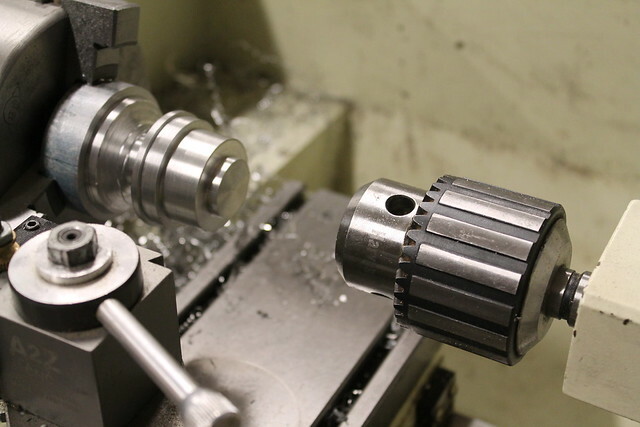 After the material is properly secured in the chuck and you are wearing the correct safety equipment you can begin. 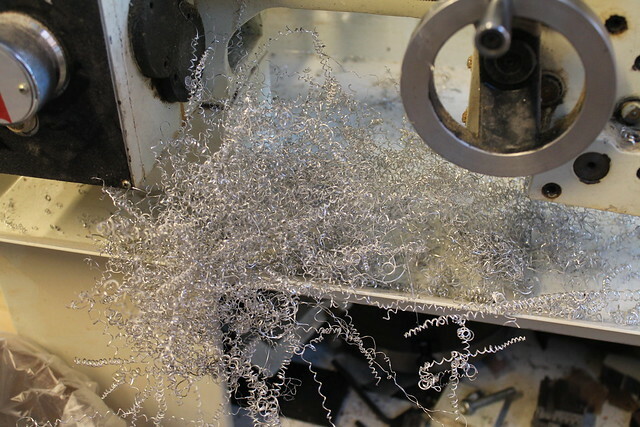 Warning: the metal shavings produced by the lathe are incredibly sharp. Never remove with your bare-hands. Use a brush or hook to remove. 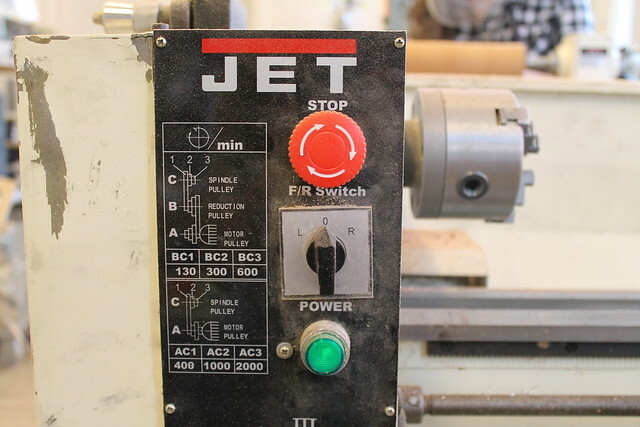 Make sure the red E-stop is out (turn clockwise and it will pop up if depressed), the green power button is pressed, and you turn to “L” to start the rotation of the lathe. DO NOT turn to “R”, that is reverse. We will not be using the reverse direction. 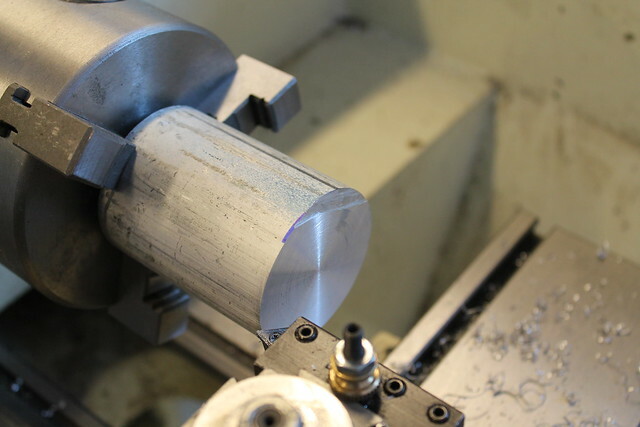 You will be using two different tools for the facing and turning. They attach to the tool post. Attach the correct tooling. 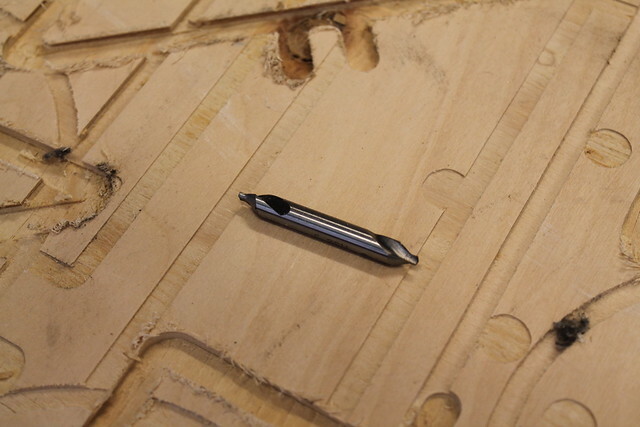 The tooling should be in this position for facing. 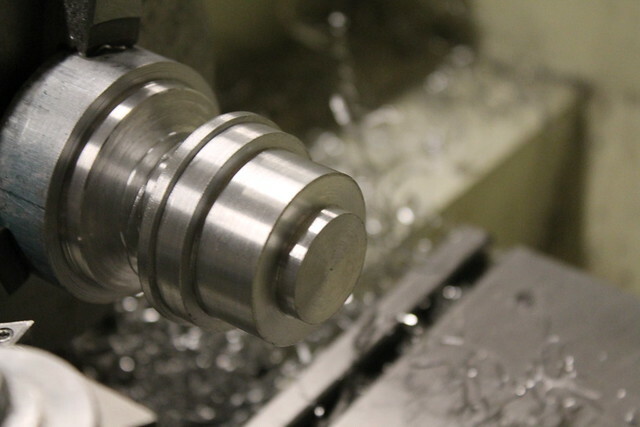 Dial in close to the material, add cutting oil, turn on the lathe. 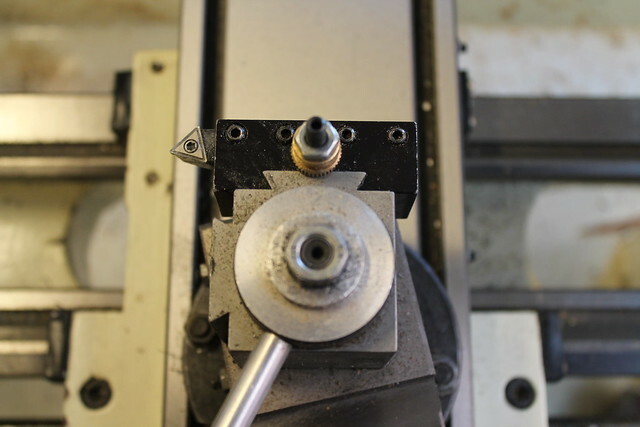 Dial the cutting tool from outside to the center of the piece. Just take a small pass. Repeat multiple times till the surface is flat. The image above shows an incomplete facing. Keep taking passes till all of the surface has been faced. 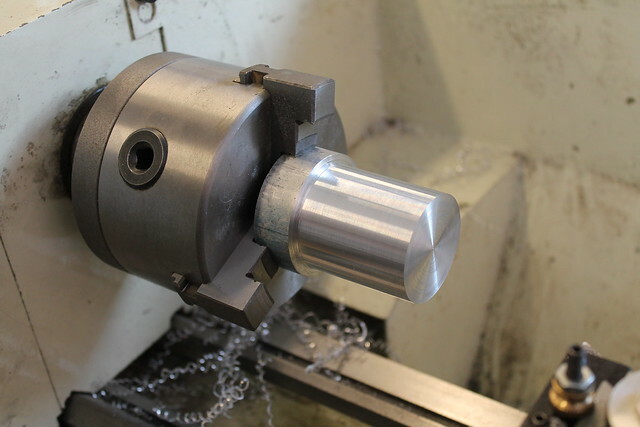 Secure the proper tooling. 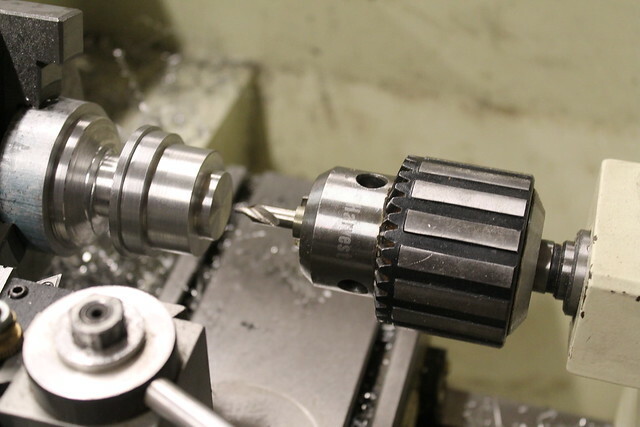 The tooling should be in a similar position for turning. 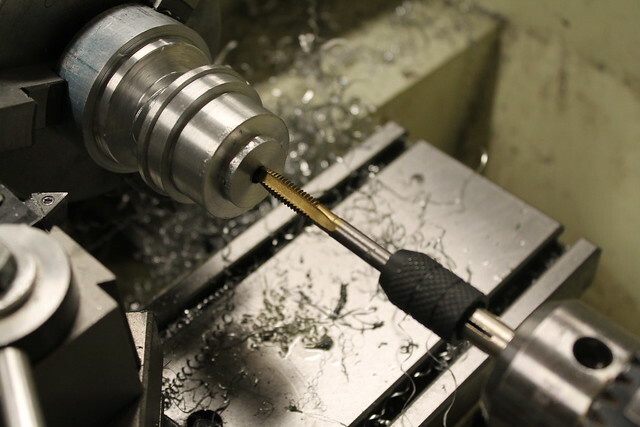 Dial in close to the outer surface, add cutting oil, and turn on the lathe. Take a pass going from right to left, STOP before you come into contact with the chuck. 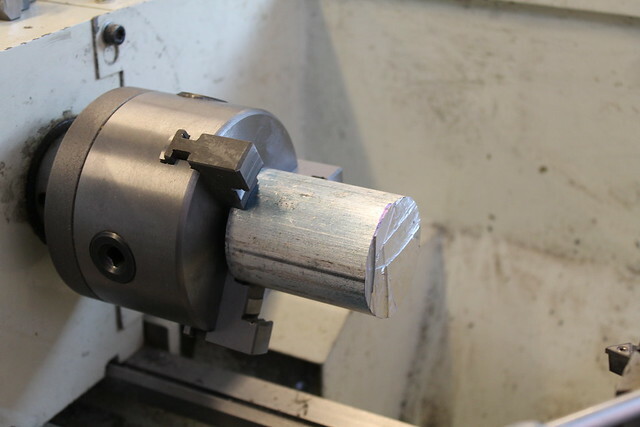 Just take a small pass, you will repeat this step many times till you are at the proper diameter. 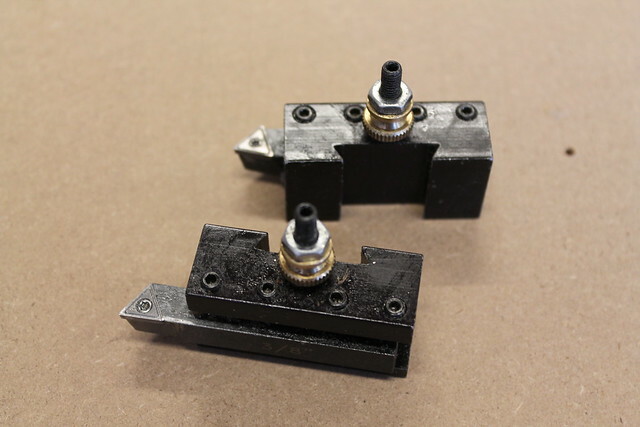 You can create multiple diameters by taking more passes in certain areas. 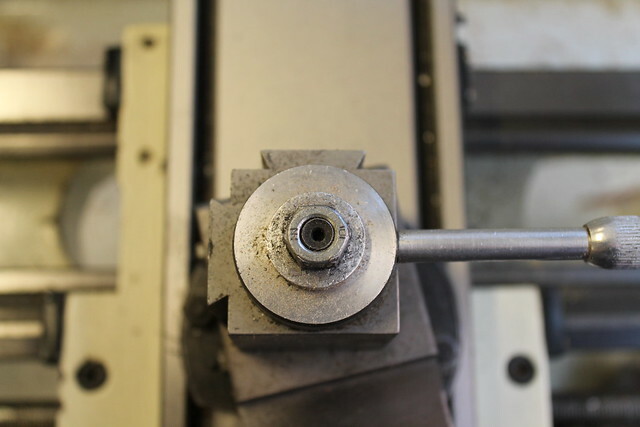 Install the drill chuck in the tail stock. Start with a center bit and lock the tail stock into position using the wrench. DO NOT drill past the flutes on the center bit. 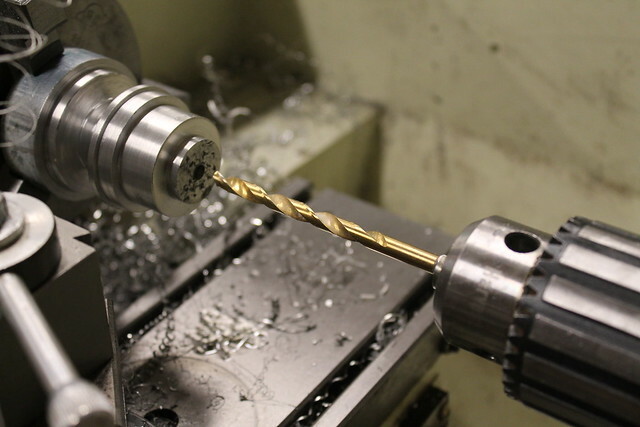 Then use a series of drill bits increasing in diameter until you have your desired size. 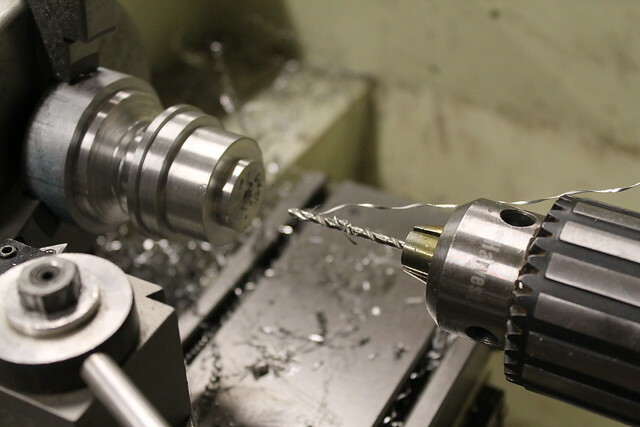 For 1/4 – 20 thread I used a 7/32″ diam bit as my largest. Using the tap set and plenty of cutting oil, tap the hole. This can be done on the lathe or in a vise later. 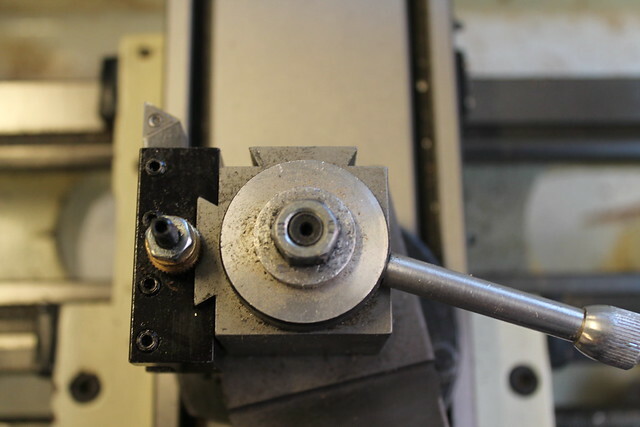 DO NOT turn the lathe on while tapping the hole. This is done manually. This video show great tapping technique. The piece can be filed or sanded with sandpaper or scotch brite. Keep your hands away from the chuck.